The BRTH-365 NM black light flash light is an amazing source of UV energy for it size. Has a long throw with focused lens. This unique UV flashlight can be charged DIRECTLY. Plug in charger and place the connector into the flashlight body itself. We also sell rechargeable batteries by themselves and rechargeable batteries with separate chargers that you an buy to compliment the unit. The BRTH-365 comes with battery charger UV black light ready to go along with a FREE MAR-C0 Invisible Black Light Writing Pen. "When I got the BRTH-365 and turned it on, I was surprised. I have never seen such directed UV energy in such a small package. Thank you Risk Reactor!!!" - Skin care product (facial mask, cosmetics, sun cream, hand cream etc.) Anything that glows has UV brightners in the formula. - Hygienic product (napkin,sanitary pad, tampons etc.) Whites are usually treated with a UV dye to make it look whiter. - Baby Products: (baby diaper, clothes, shoes, toys etc.) UV light helps finding fugitives glues, other defects, and fluorescent materials. - Washing products: washing powders, laundry detergent, hand sanitize lotions etc.) These contain the black light UV dye and pigments to make your clothes glow under black light which is part of visible light, making your clothes glow to hide the dirt. Not clean it. - Food (flour, mushroom, food packaging, paper cups etc.) various other items do fluoresce under black light for myriad of reasons. Some good, some reasons bad. Black light is also used for contamination from rodent urine, mold, and other materials that fluoresce under UV energy. - Counterfeit detection (money, ID, passport, bank card etc.) and currencies all fluoresce under black light. Learn which one is what to make sure your money is legit. Or just for fun. Other countries money like Qatar are amazing under black light. See our videos section to see world money under black light. Pet urine detection along with other stains on many surfaces including wood and carpets. 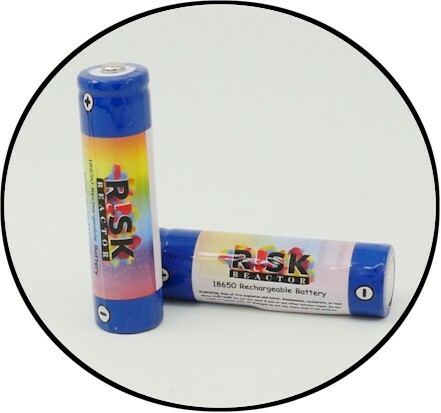 BRTH-365 Rechargeable Black Light Batteries.